Does the Arctic weather have you dreaming of trip to warmer weather? 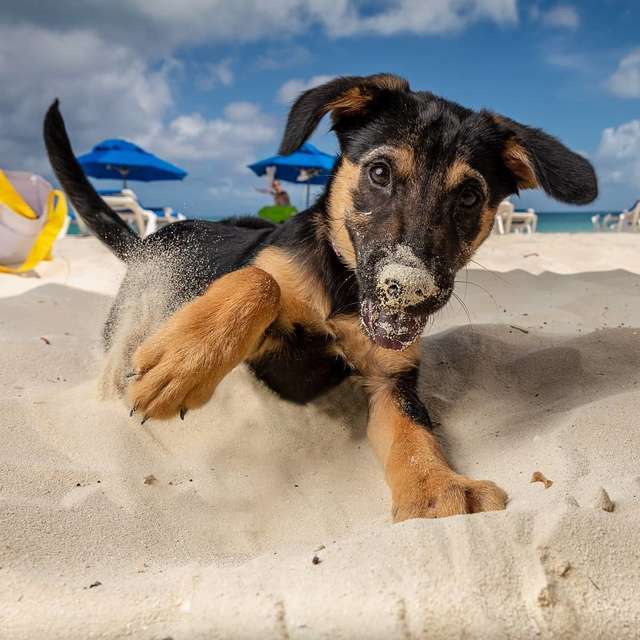 Well look no further than Potcake Place K-9 Rescue, a registered nonprofit charity located in the Turks and Caicos Islands, in the Grace Bay area of Providenciales. According to The DoDo, while you’re vacationing and enjoying the sand and the sun, you can also pop into this completely volunteer-run rescue and meet some puppies, take them for a walk — and even bring a puppy with you to the beach. Most of the dogs taken in by the rescue were previously homeless, living lives of struggle and neglect, and are in desperate need of a little love and attention. When people on vacation stop by to spend some time with the dogs, it helps them get the socialization they so desperately need and get them ready to eventually be adopted. Pups and tropical temperatures? Sign us up!